The Events Team is currently hard at work preparing for SEEK2015. For those of you who do not know my role within FOCUS, I am on the Events Team who plans and puts on events such as SEEK. We have about three months before showtime. It is exciting and also hard work, but we know that this event plays an important role to the New Evangelalization effort. 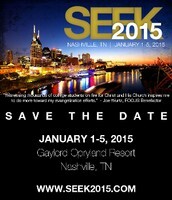 SEEK2015 is an adventurous five-day event in Nashville from January 1st – 5th. It is a gathering of college students on a journey. These students will attend talks by dynamic religious speakers, top entertainment, and of course, partake in prayer. It’s a place where we can come together to take on some of life’s BIGGER questions and learn from one another where wisdom and experience lead. Many students will be impacted in a powerful way and they will learn that we need to heed the wisdom that calls us to ‘ask, seek and knock’ to discover who we are, where we’re going and what motivates us. You are welcome to join us - please contact me with more information. 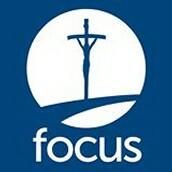 Thank you for your support of me and FOCUS! We could not do God's work without you! 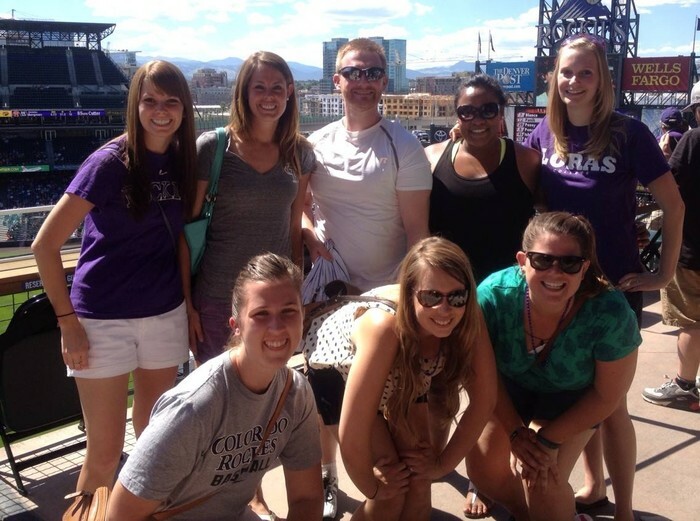 Team outing at the Rockies Game! Does FOCUS effect more than just college students? YES! Our mission statement: To know Christ Jesus, and to fulfill His great commission by first living and then communicating the fullness of life within the family of God, the Church. Our mission is based on the great commission found in the Gospel of Matthew - "All authority in heaven and on earth has been given to me. Go therefore and make disciples of all nations, baptizing them in the name of the Father and of the Son and of the Holy Spirit, teaching them to observe all that I have commanded you; and behold, I am with you always, to the close of the age." Check out how FOCUS is making an impact on more than just college students. We are impacting families, parishes, academia, as well as evangelization efforts both nationally and internationally. Some go by going, some go by giving. Thank you for being a part of our mission and making it possible for us to do God's work of making "disciples of all nations" (Mt 28:19).